Karbonn Titanium s5 is really awesome for its price.. it is equal to any other smart phones and has all the features of branded android phones like s4. i got mine 6 months ago and i really love it.. i have dropped it like 100 times n even then nothing happened.. its one of the best mobiles i have had.. it never gets hanged and its pretty fast.. n the touch sensitivity is really cool.. i really love it!! no complaints at all..
Soni, 18 Nov 2013Bought it 2 days back, and felt this awesome. earlier found some g sensor & network probl... moreWill u plz share the settings to b done so as to make s5 better as u have mentioned in our case. Bought it 2 days back, and felt this awesome. earlier found some g sensor & network problem but could solve it myself. like g sensor restarted and started working. and serach network snd it starts working. now, all things fine. a must buy in this range of mmx canvas 2, 2+ and hd. U can also copmare it wid samsung s3, where titanium will win. i suggest go for it, karbonn doesnt feel reliable, but they hv come up wid this gr8 product well done. 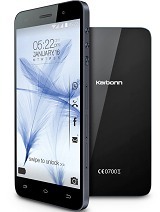 Can any one pls provide me the service centers contact number of Karbonn mobiles. Preferably in Noida/South Delhi. 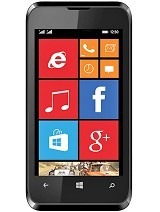 Karbonn s5 is the best mobile in the world. It is full compare d with Samsung s4. Can i update this phone from 4.1 jelly bean to 4.2 ?? folks ..i am using this phone for last 4 months..no complaint yet, in some reviews i have seen some complient about G-sensor and network issue..but most of them get resolved only by proper android setting.. this is best value for money phone having best build quality in its cetegory ,look wise this can be headed with any phone in this planet..forget brand and be practical becouse this is the era of vendor base mobiles , as for as heating issue is concern this is just becouse of its slim back cover ..and simply resolved with silicon cover and yes battery response is better then samsung grand..awesome desgin,gr8 touch ,sharp colors gud battery backup and amazing speed what you want more in this price..
worst mobile...as compare to its price...,mainly heating problm and battory drains quickly..,custmor service is also not gud...dont buy titanium series .....truly..
i am going to purchase this phone tomorrow so pls suggest me that can i purchase this or not because i cant judge the phone by these lots of opninions pls help me..
Total of 2192 user reviews and opinions for Karbonn S5 Titanium.